I was raised (and homeschooled) in a Christian home, and I am a Christian today. But the faith I grew up with is quite different from the faith I have now. I was raised with certainty, and now I embrace mystery, and even doubt. I was raised with answers and have grown into questions. I’ve been turned off by what I feel is a shaming approach in many Bible curriculum options. I considered simply leaving it out and using a secular curriculum, but our faith is a defining factor in our lives, so that felt totally inadequate. Enter Biblical scholar Pete Enns. My dad, going through some of the same shifts and questions I was, had been reading and loving some of his books. I did some digging and discovered that he has written a Bible curriculum! It’s called Telling God’s Story, and you can find the first year here (affiliate link. Disclosures.) You should probably also get the student guide and activity pages, and the parent guide for the whole series. It focuses on Jesus for the first 4 years, and then goes into other stories and lessons after establishing that foundation. For me, that’s a great fit. We approach Jesus not only as the point of Christianity, but as the lens through which we view the rest of Christianity. So spending this much time on Jesus feels like a better approach than starting with a lot of confusing and painful stories from the Old Testament and then reading the New Testament later. It provides a great deal of background information that contextualizes the subject. I didn’t have a good understanding of the context of the Bible for years, even though I was raised with a high value on the text! Enns provides background for the parent so you have an idea what’s important to get out of the lesson, and sometimes to the kids in the form of maps,cultural explanations, etc. It’s genuinely helpful to have that kind of scholarship at your fingertips. It doesn’t get lost in irrelevant details. The background is helpful, but not overwhelming. It focuses on the big concepts, rather than getting into specific doctrine. I’ve heard there’s controversy about this curriculum, but I’m genuinely surprised, because he doesn’t get in to little details. Enns stays really middle-of-the-road and focuses on basics: loving your neighbor, Jesus loves kids, that kind of thing. It’s really gentle. If you did everything in the activity book it would be labor- and material-intensive. Things like making a topographical map of the area seem like great ideas, but if I’m honest with myself I’m just never going to do that. 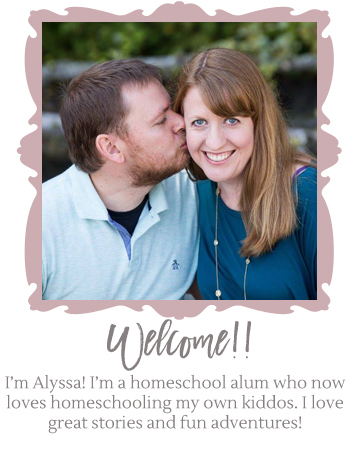 Maybe you’re a more pinterest-y homeschooler than I am and it would be great for you. But I am just not that mom. That having been said, I would rather have too many options than too few. And I really like the coloring pages because they have interesting cultural details. In the end, I am deeply grateful that someone like Peter Enns happens to be a homeschooler! This curriculum has been a gift to my faith as well as to my kids’ faith, and it feels good to be able to teach them without reservations about the content. Sonlight or Bookshark: What’s a Progressive Christian Homeschooler to do? to go ahead and give you a shout out from Huffman Tx! Just wanted to say keep up the fantastic job!